....Let the good times roll with my Caribbean Soul. Welcome to The Backyard Tiki Bar....The most fun you will ever have reading a cookbook (seriously), anywhere north of somewhere south. A cookbook full of easy culinary recipes, jokes, quotes, potato boats, stories, pictures and more. Set sail for the tropics and beyond in this unique 352 page spiral bound cookbook that inspires you to live your dreams. 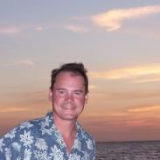 John & Lori live life to it's fullest, they dont give a darn what anyone says, because they realize, at the end of the day, you only get one chance....Batten down the galley doors, and hold on to your pots and pans, as you cruise through the tiki bar triangle. They're bringing paradise home to your backyard with easy to make cocktails, and culinary recipes from their travels beyond the horizon to distant shores. The Back Yard Tiki Bar is truly a book for those like minded souls who dream of running off to a tropical paradise. John and Lori have been there, done that. It's all in the book. What happens when two heartbroken lovers with caribbean souls find themselves washed up on the shores of the same town, too far north of somewhere south? A helluva good time,a lot of laughs, a few tears, and a jambalaya cook-off challenge that led to a boatload of recipe sharing from the tropics, and the creation of...The BackYard Tiki Bar: Cocktails & Cooking Island Style. 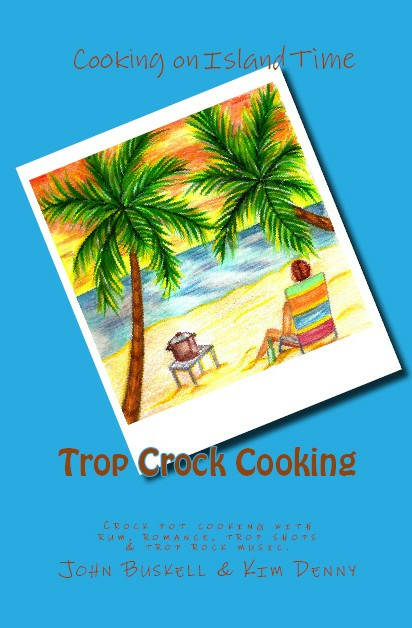 A cookbook full of easy culinary recipes, jokes, quotes, stories from the tropics, photos, and more. The language of your book is so enchanting I feel like I am really on island time! I must learn to speak Islandese... and with all the positve messages scattered throughout, it is very uplifting. Just wanted to let you know your book is amazing, I'm not the greatest cook in the world ... but this book just makes everything so simple to follow. The food is absolutely amazing, and I love the story behind it all. I wish you the best of luck in life, I'm very blessed to know you TikiBar John! Just wanted you to know i bought the book tonight i have been reading it and looking at the recipes and the stories. Cant wait to try them ALL!!! Great Job You TWO!!! I have really enjoyed your Back Yard Tiki Book -- The recipes for food and drink are great, but the little quips, jokes and stories make it an absolute blast to read ! ! ! ! ! John my friend, my book came in today and I am so enjoying it. I'm having fun reading all the quotes & jokes that this is the most fun I've had reading a cookbook! I love it and can't wait to try out some of these recipes. Although I don't drink (I'm a mormon) I know I can usually substitute a few ingredients to make delicious drinks. Cheers John! Thanks and Happy New year to you! 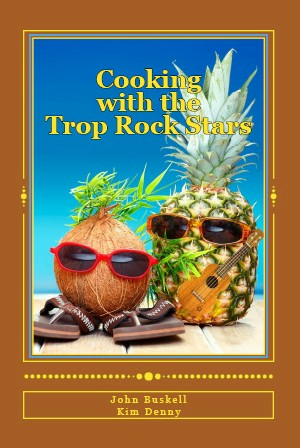 I will send you some trop rock friends to check out. and I will be buying a couple cookbooks if you have any. Love the book! LOVEIT!